FLOORING Our 60 year legacy in the hardwood flooring industry has produced recognized dependability.With an expansive inventory of products, we are confident that our stock has the look and feel you are searching for. 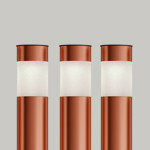 We honor every detail of your design preference and can work with any budget. CONSIGNMENT FURNITURE You’ve never been to a consignment store like this. You won’t have to dig around to find what you’re looking for. Please come in and see our ever changing selection of the finest furniture. Welcome to Bend’s Area Rug Connection! At The Area Rug Connection we’ve journeyed to the other side of the globe to bring extraordinary service and knowledge to our customers here in Bend. We’ve collected rugs from around the world to compliment every style and budget. 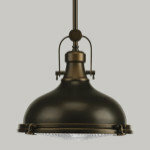 We offer a wide variety of stocked items from contemporary, craftsman, lodge, transitional and traditional. Inexpensive to exotic. We work with over 80 different vendors and can usually find the right rug if we don’t have it in stock. Our selection comes from all over the world including: Egypt, Greece, Nepal, Pakistan, Afghanistan, ‘Persia’, Turkey, China, India and the U.S. “Can’t find what you want?” Program: Custom – Any image you could dream of can be made into a rug from our Tibetan partners. If you can design it, they can do it! Made To Order – Come pick out a design, pattern and color and we can do it. We can fit any area you need whether it’s a long runner or an odd size. Central Oregon's only specialty rug store. 21 years strong. 2000 rugs in stock, 80 vendors. Special orders, made-to-order and custom programs. Contemporary, Transitional, Traditional. Hand made and Machine made. A rug for every reason. 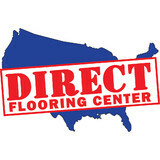 At Direct Flooring Center we buy our carpet direct from the mills. There are no brokers or buying groups so the more carpet we buy, the lower your prices are. We have over 50 different types of carpet always in-stock and this is not including our hundreds of remnants. We stay on top of the new trends in both consumer preference and new fiber construction. We buy from all of the top name brands that you all know. 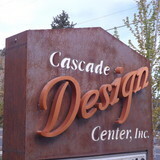 Cascade Design Center is locally owned and operated here in Central Oregon. Our business started 19 years ago in 1998 with one goal at heart. Our mission is to create a unique home designing experience. We pride ourselves on being a single venue where clients are able to see every possible product or concept for their home. Choosing colors, styles and patterns can be overwhelming for some and exciting for others. 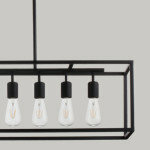 Cascade Design Center has a wide variety of products for every style. 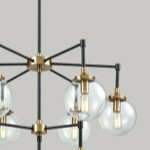 We have the best designers on staff to create or update your dream home. We are constantly updating our lines ensuring that we offer you only cutting edge ideas. We are proud to serve Central Oregon and honored to have earned a reputation for outstanding service and quality products. I & J Carpets incorporated in Bend in 1975. The foundation of the company has been its reputation. Satisfied customers are our number one goal. Our experienced staff is ready to make your selection of floor covering an educational and pleasant experience. Small or large job, I & J can handle your floor covering needs. Whether it be a bedroom or an entire office building, I & J will strive to meet & exceed your expectations. I & J salespeople have the experience to help you select the right product for your particular application, whether it is a soft luxurious plush for your home or a durable good-looking commercial carpet for your office. Good reputations take a long time to build and for almost 30 years, I & J has built a reputation unsurpassed in Central Oregon and evidenced by many repeat customers. Our personal expectations are as important now as 30 years ago and our customers receive courteous professional help from the beginning to project completion. I & J Carpets’ ability to purchase mill direct from the largest carpet mills in the world allows for a very wide selection at very competitive prices. For carpet, tile, vinyl, laminate or any other type of floor covering, you owe it to yourself to talk to the professionals at I & J Carpets. Were a full service retail store. We offer assistance in design and DIY. We can work with any budget. We have been in business for over 12 years with over 30 years of combined experience. *Authorized Shaw Flooring Dealer* Floor Decor is dedicated to providing you with first-rate craftsmanship at affordable prices on all of your flooring needs. Enhance your home with exquisite hardwood floors, lush carpeting, and durable tile for your kitchen or bath. Rest easy knowing your home is in great hands. Our skilled flooring technicians make your satisfaction their first priority and want you to call the shots. Let us guide you to quality products that you like and want, and we'll do the rest. It's that easy! Floors to You is a company bred by necessity. Home owners and business owners don’t have time to choose a flooring or window blind store, go down to the store, talk with sales people, have them come out to their location to measure, order the flooring and other products, then finally have them installed without ever seeing the product in the environment it will be placed in. 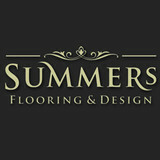 Floors to You simplifies this process immensely. You call and schedule an appointment. Then the design consultant comes out to your location and shows you samples of flooring or window coverings that will match with the design, decor and lighting already present. The consultant orders the flooring or window coverings and then the materials are installed. Here’s Why GreenFlooringSupply.com Is The Least Expensive And Best Source Of Sustainable Flooring: GreenFlooringSupply.com cuts out the middle man and make it easy for you to purchase quality wholesale green flooring direct from the manufacturer. We take the worries out of durability, toxicity and other issues of concern regarding flooring. Due to our strict selection process, you can relax and simply choose the natural floor that will be beautiful in your home for years to come. GreenFlooringSupply.com provides low cost natural flooring samples so that you can view your flooring choice in your home before you commit to purchasing. We make the shipping process easy – either ship straight to your house (curbside only), or to a local warehouse for your installer to pick up. Click here for our Flat Rate Shipping options and Policies! GreenFlooringSupply.com offers the very best customer service of any flooring supplier. If you have questions, check out our customer service section. If you need more detailed assistance send an email or give us a call. We’re friendly! GreenFlooringSupply.com specializes in high quality bamboo, cork and hardwood flooring. We sell at wholesale prices and from a state with no sales tax, resulting in significant savings for you. Our natural green flooring is often less expensive than the low quality, toxic options you can find in the local big box store. Our eco flooring materials have been hand picked from hundreds of green flooring options to give you the most affordable, healthy, durable and beautiful flooring choices for your home or business. When purchasing a new floor, you actually have just two choices: 1) You can buy your new floor from a local supplier, or another online retailer and get a toxic, low quality, cheap floor. OR 2) You can pay the same amount (or sometimes even less) and buy a high quality, healthy, durable, and beautiful floor from GreenFlooringSupply.com What makes GreenflooringSupply.com’s flooring options healthy and non-toxic? We have very strict selection criteria that every flooring material must pass. Our priorities begin with the common standard of a healthy flooring material. Carpet installation , tile , wood flooring , Remodels, and design help. Cost Less Carpet - Where inspiration and ideas happen. One-stop interior flooring and counter surfaces for all your interior needs, from high-end custom to production homes. Carpet dealers in Black Butte Ranch, OR help homeowners choose the correct carpet covering for their floors, and also assist with carpet maintenance. This includes determining factors like material, carpet pile, durability, color and size, as well as helping with any custom carpet design. After completing the initial installation (which includes removal of the old flooring, if applicable, and surface prep), they may also handle follow-up maintenance requests such as carpet cleaning, carpet repair and carpet stretching. Carpet dealers might work closely with Oregon contractors, interior designers and others in the home building and home improvement industry. Here are some related professionals and vendors to complement the work of carpet dealers: Interior Designers & Decorators, Design-Build Firms, Specialty Contractors, General Contractors, Home Builders. Find a carpet dealer on Houzz. Narrow your search in the Professionals section of the website to carpet dealers in Black Butte Ranch, OR, and read reviews and ratings for pros in your area.